The winner and top 3 for week 23 Add A Sentiment can be found at the bottom of this post. Julie - Who doesn't love a little sparkle on a project? 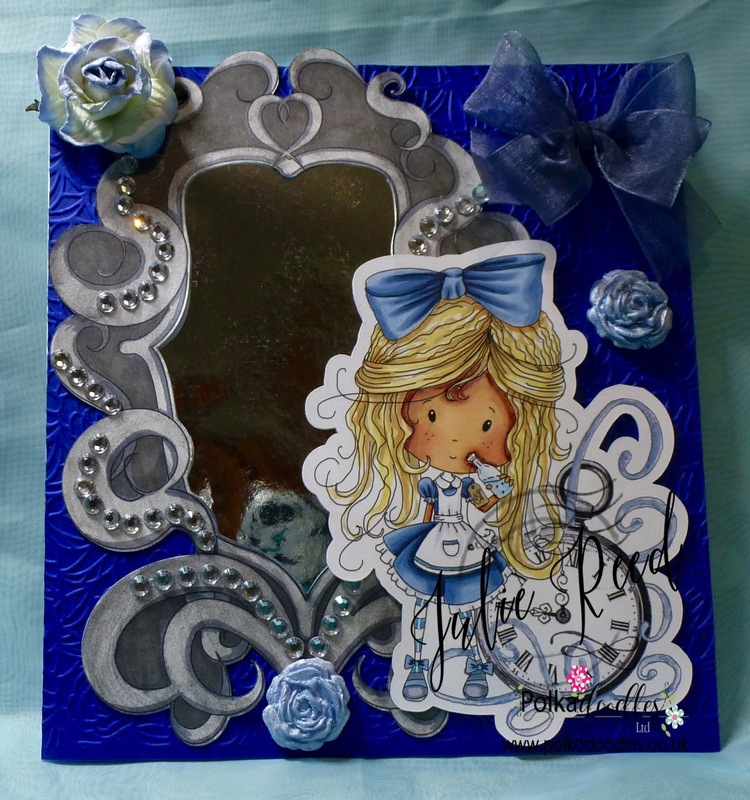 I know I do, so I have added plenty of sparkle to my project with gems and mica powder, I have used some digi's from the Winnie in Wonderland collection and coloured with Copics to create my card. Jane P - My youngest got engaged on her birthday. Her and her boyfriend have been together for 10 years and it was a surprise to us all....even my daughter. 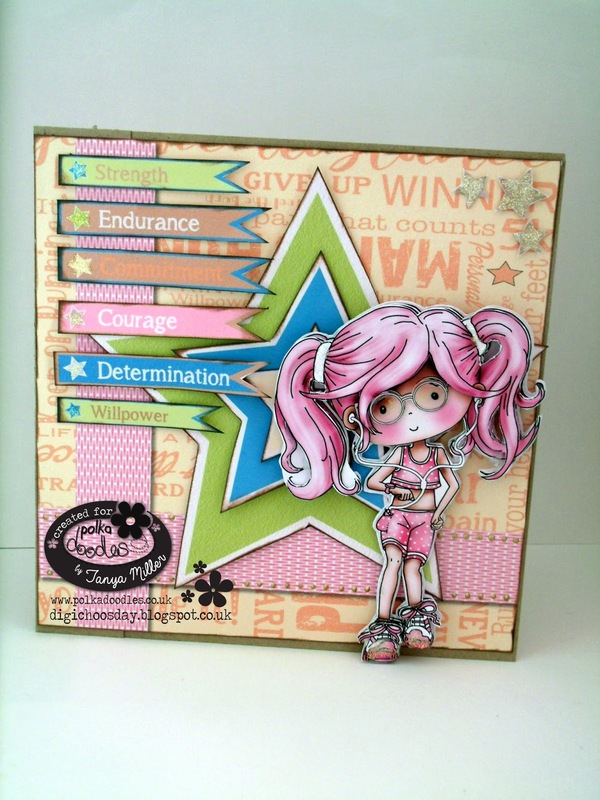 So with them in mind, my DT inspiration this week I have chosen another designer sheet from the Winnie Fruit Punch CD collection. Gail - Sunglasses at the ready, this ones not just got bling but it's an ohhh so bright and bold art journal page. 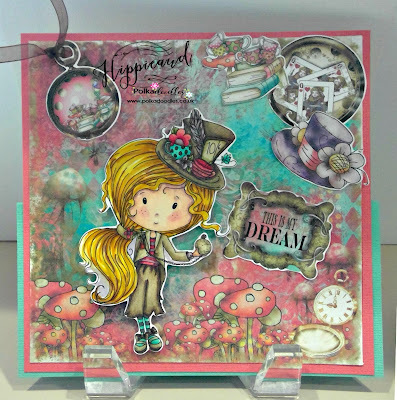 I've used the fabulous Dollie Daydream Kawaii digi image, available individually here or in the fantastic full collection Dollie Daydream Goes East on CD-ROM or as an instant download. Anjie - I have used the fabulous Winnie In Wonderland collection again. This time I have used the Hatter image that you can get on it's own HERE. 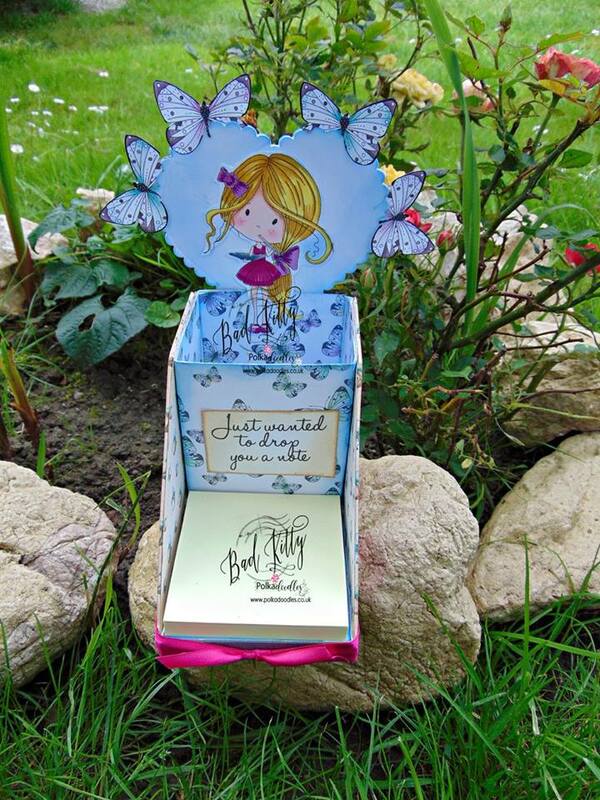 I have added my bling with gems and glitter on the butterflies, which are from the Daisy Days stamp set, and the Jelly Tot gems at the bottom. More details on my blog. Monica.- For my project I used to different techniques to add bling. First I added golden and rainbow foil to the butterflies and sentiment. 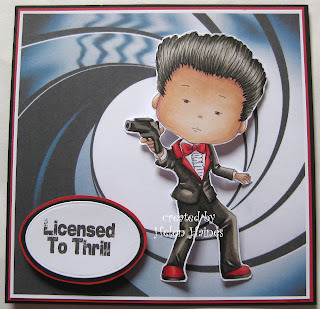 Then, I stamped with Perfect Pearls over black card stock. 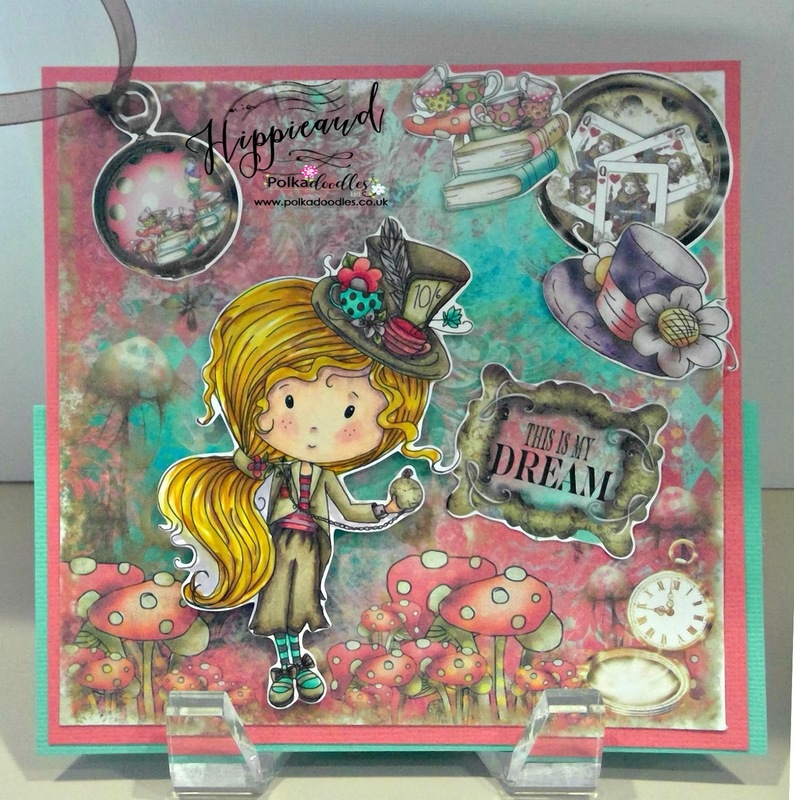 I used the lovely Daisydays.-Stamp me Collection and it´s gorgeous set of clear stamps. Audrey I'm a big fan of bling/sparkle. 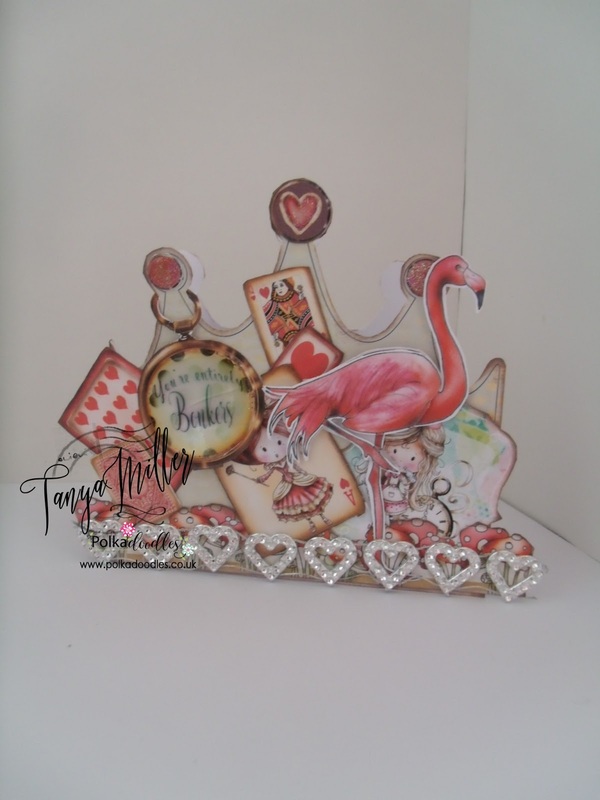 Since I continue to be obsessed with the Winnie in Wonderland Big Kahuna Bundle, I again used everything on my card from this bundle, except for the bling flourishes that I added. I used papers, elements from a couple of the design sheets, embellies and ephemera. 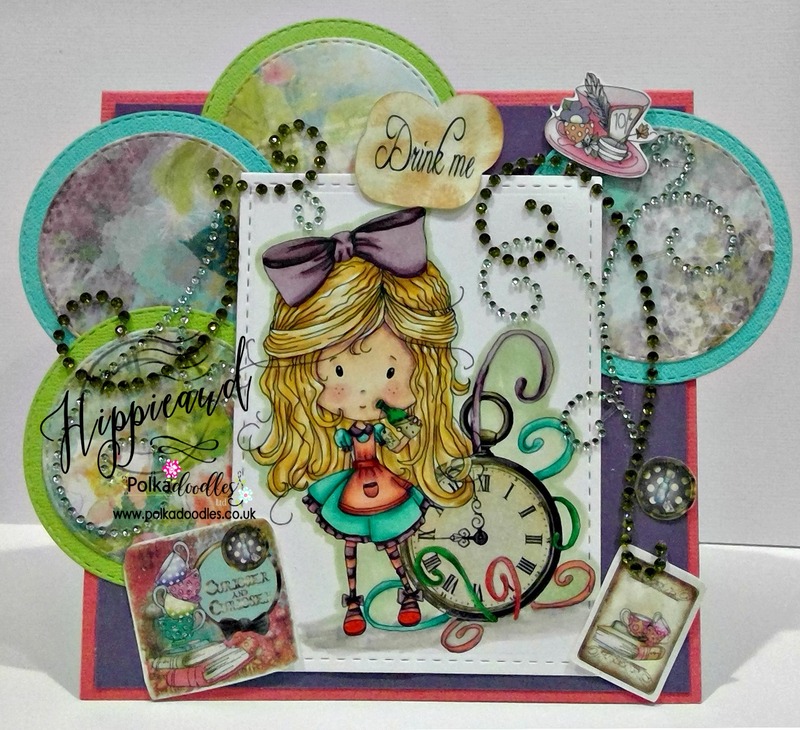 The image I chose is Winnie in Wonderland Time Will Tell, she is colored with Copics and cut out with die from my stash. 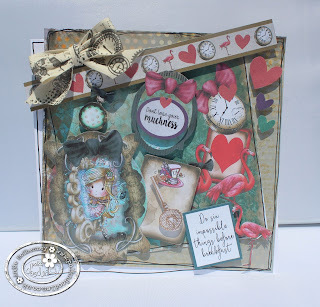 I sure hope you like it, this bundle is so much fun to work with!! 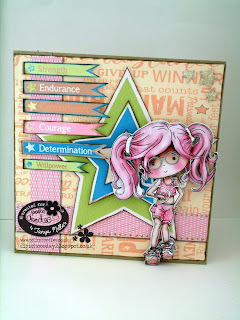 Lori For this week's make I have used one of the Winnie Fruit Punch Design Sheets, twine, gems, glitter pen and dimension foam squares. More pictures and details can be found on my blog. Romina - Hi ladies!!! I love this digi, She gorgeous. I used glossing accent to make my gems and Wink of Stella to add some glitter in her dress!!! I used Winnie Dancing Queen!!! You can buy her HERE...I hope you like it! 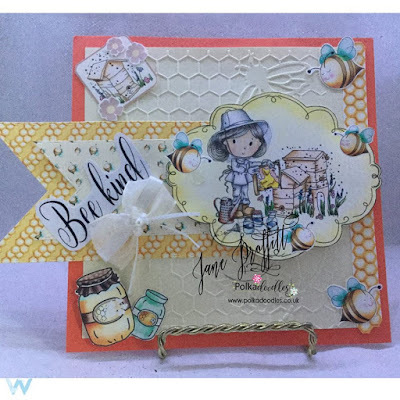 Jacki - This week I have made a card using one of the Winston download design sheets and Winston papers cut into strips and the embellishment elements from the Winston collection too. 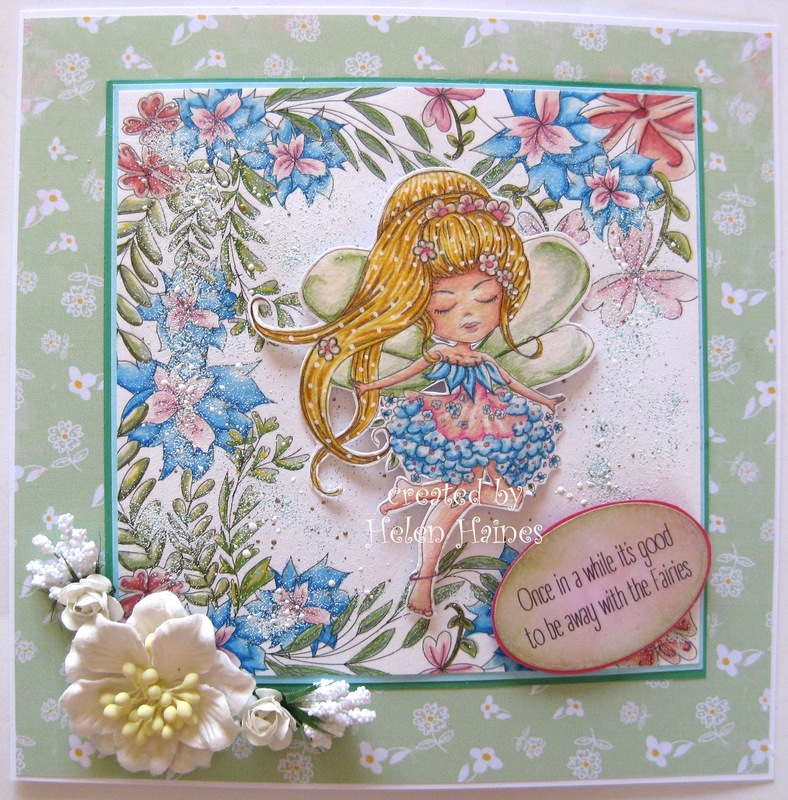 I then added gems, glitter and distress inks from my stash. Full details on my blog. 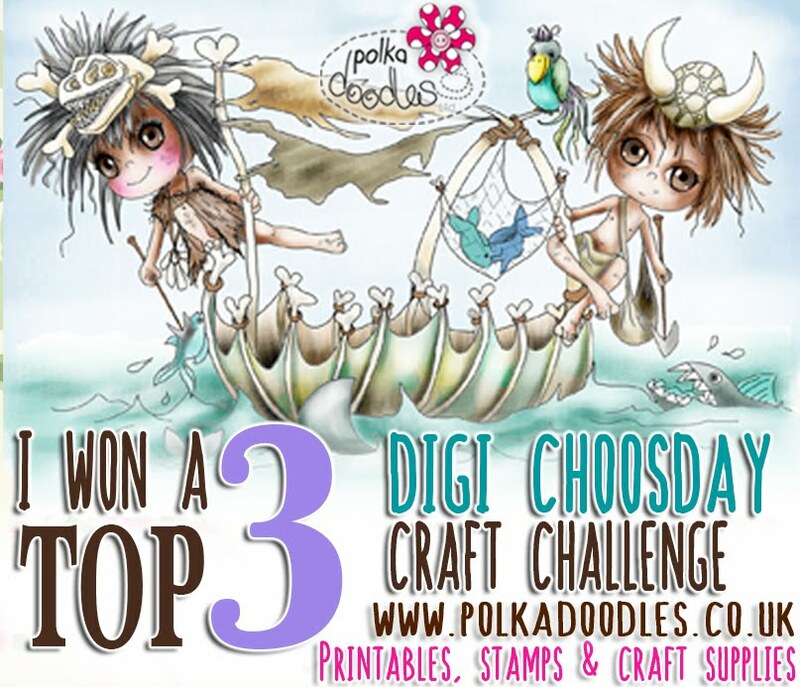 Please email us at sales@polkadoodles.co.uk quoting DCW023001 to claim your prize of £5 worth of downloads from the digi store! Well done ladies - we loved your entries! CLOSING DATE is 28th June 2016 and the winners will be announced on 5th July 2016 ....PRIZES: The random winner (chosen by Random.org) will receive £5 worth of downloads of your choice from the digi store! The winners from our last challenge can be found at the end of this post and in the winners tab at the top of the page! So let's see what the team have for us this week! Tanya For this week's challenge I've used the shadow box template from the Little Kingdom Collection and mixed it up with the papers and some of the Digi Sheets from the new Winnie In Wonderland collection to make a triple shadow box wall hanger which I've added red and white vintage heart ribbon to the back of. It will take pride of place in my craft room above my desk. More photos and details on my blog. 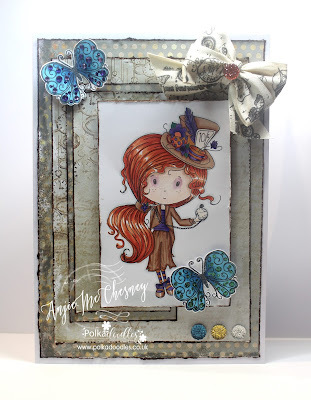 Audrey I chose all my card elements from the fantastic Winnie in Wonderland Big Kahuna Download. This includes the background paper which is from one of the design sheets, image, quote that is added to one of the tags and the embellies. Added ribbon to one of the embellies. Hope you like it and come visit my blog for additional details. Gail - For the 'Add A Ribbon' challenge this week, I just had to make a tag, my love affair with making supersize tags shows no signs of fading! 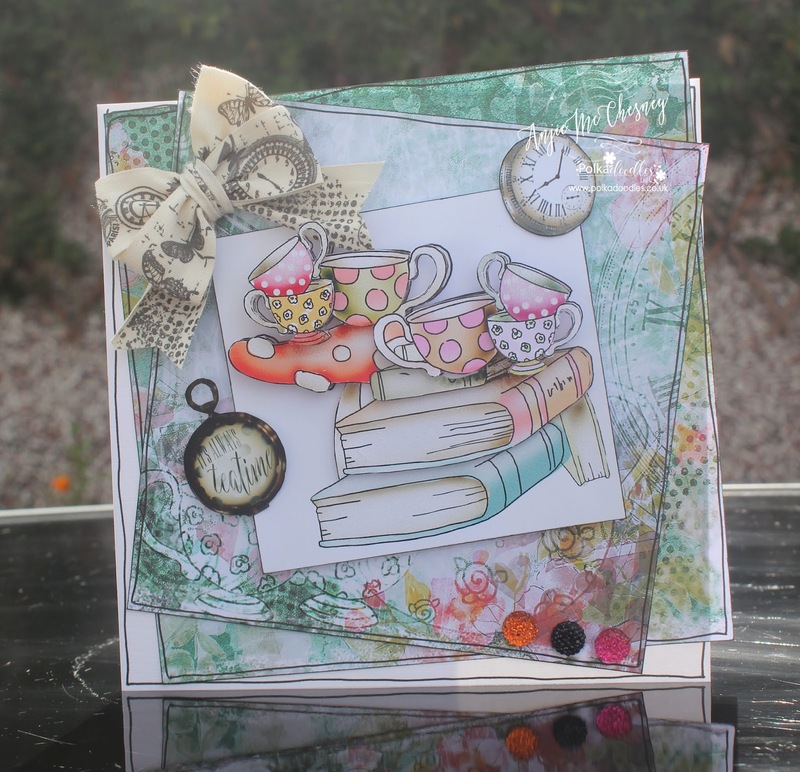 I've used the gorgeous artwork from the Daisydays collection. Daisydays is available as an instant download on CD-ROM. The best value for money and it's an amazing, is the Daisydays bundle which has the digital collection on CD-ROM together with the accompanying stamp set. Anjie - I've used some papers and a digi from the fabulously lush Winnie In Wonderland collection. I printed the digi out 3 times so I could cut bits out to make some decoupage with. I put the papers onto the card at an angle and or course as I haven't used card behind the papers I've used the black fine liner squiggly line. I've also inked the edges of the papers and the background of the image black to make them pop a bit more. I've then added all the layers with 3D foam, added a few embellies and finished off with a bow. More info and photos on my blog. 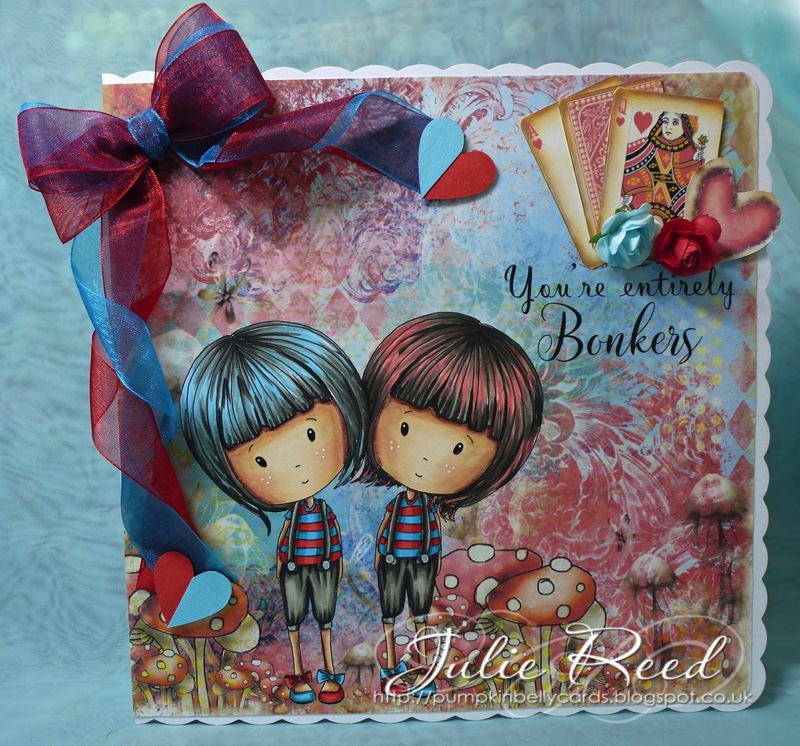 Julie - I have used the super cute Tweedledum from the Winnie in Wonderland collection, I chose my colour scheme of Red and Teal around one of the fab papers in the collection. Gorgeous creations from the team as always! So let's see the winners from last time! 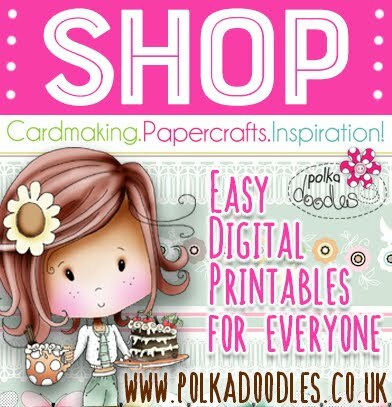 Please email us at sales@polkadoodles.co.uk quoting DCW022001 to claim your prize of £5 worth of downloads from the digi store! YES, SAVE 25% ON THE WORK & PLAY SERIES FOR 24 HOURS ONLY! 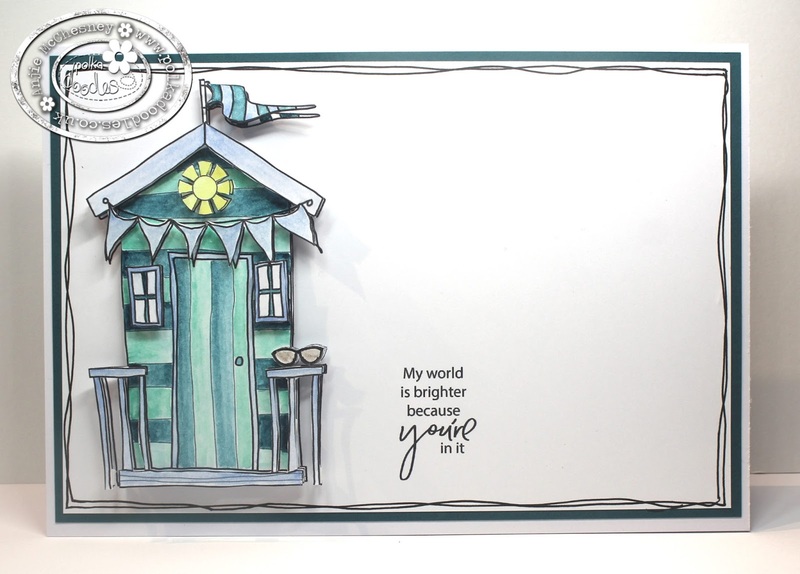 Our newest releases of the brand new wonderful STAMP ME ranges are in stock so grab your stamps, CDs and downloads HERE and check out the inspiration in our Gallery, as well as on Facebook. 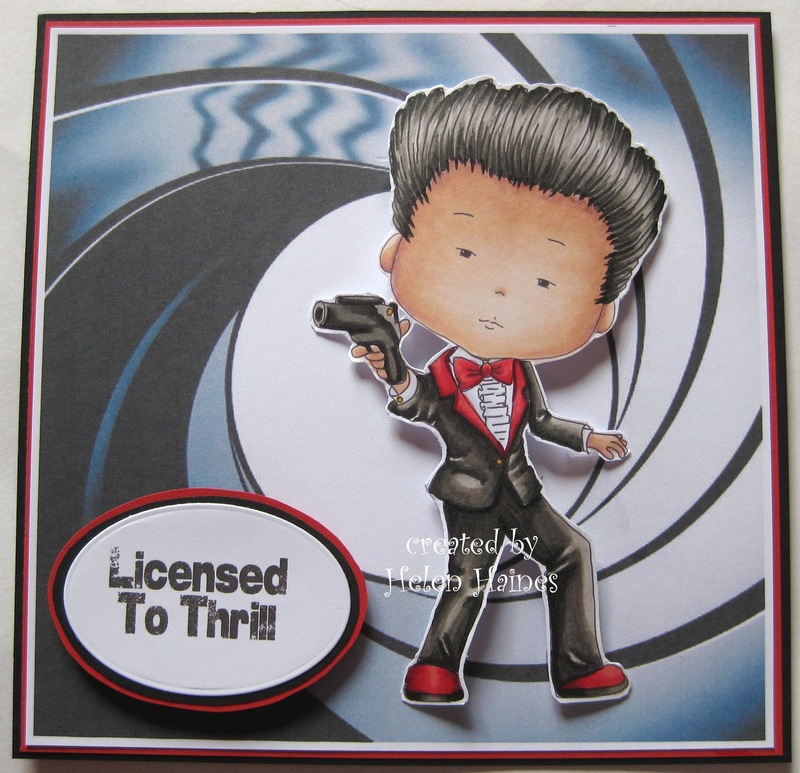 Making male themed cards and gifts is always very difficult, but not with Nikky’s fabulous digis it’s not! There’s many male themed digis in the shop whether it’s on the Work & Play Collections or on the other collections too. Use any products you like to enter as long as it follows the theme for this week. We don’t have many rules but check them out in the top bar if you need to. 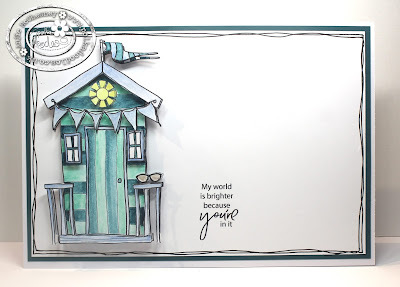 Anjie - I've used the beach hut, the sun and the sun glasses from the new Summertime collection, and everything is coloured with my Kuretake Gansai Tambi watercolour paints. The sentiment is also from the same collection. I printed the images out 3 times and decoupaged them. I kept the card CAS as most men don't like fussy things do they, so I finished it off with a squiggly line. Lots more details and a close up photo on my blog. 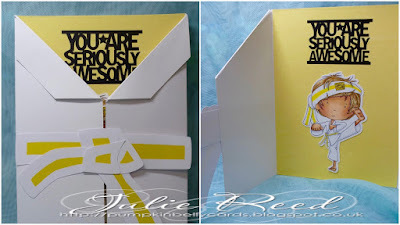 Julie - I have used Karate Boy from Work & Play 7 to create a Congratulations card for my little boy, when he completes his next Karate grading. 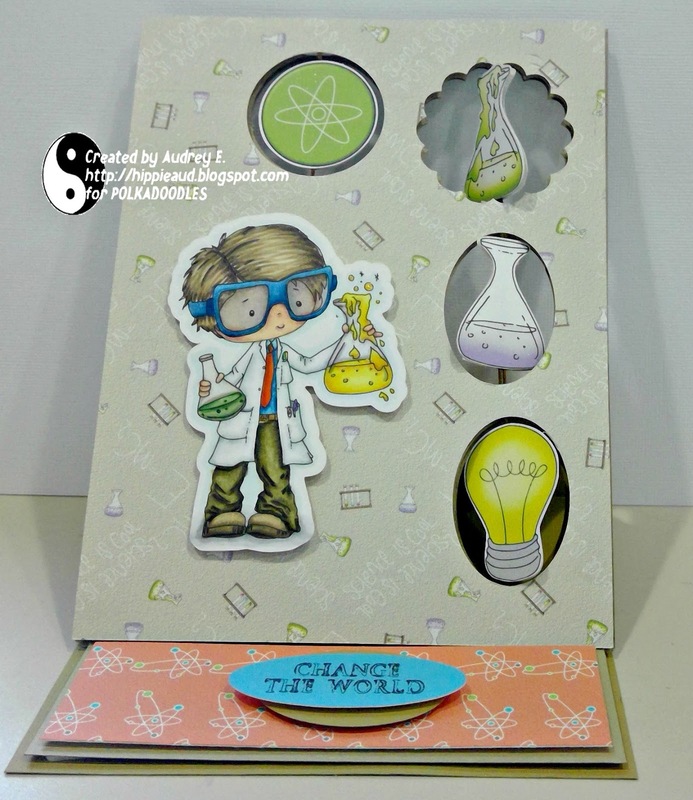 Image is coloured with Copics, all details and pics showing how I created the card are on my Blog. Gail - I've used a couple of images from the Work and Play 8 - Feel The Music Collection to create my birthday card. The guitar and speakers are pre-coloured digis from the Work and Play 8 collection and I got inky to create the background, more details over on my blog. 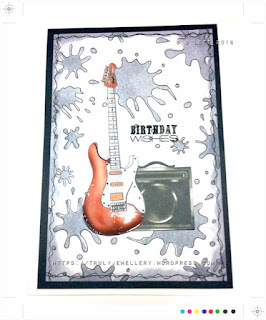 The Work and Play 8 Feel The Music collection is available as an instant download or on CD-ROM. Monica-For this male make, I used precoloured image and sentiment from Work & Play 4 and papers, fence and tree from Cherryblossom Lane. 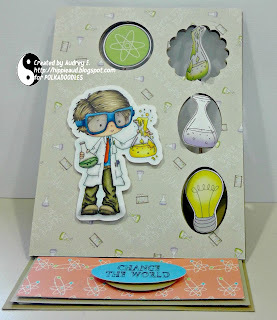 Audrey loves the versatility of the Work and Play bundles from Polkadoodles shop because they have both female and male characters, which makes it so much easier to construct a masculine creation. This time I chose Work and Play 12 Big Kahuna Download Collection for my card. 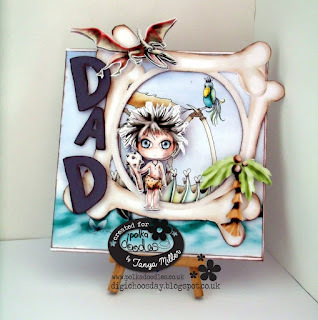 My image, papers and embellies are from this set, my sentiment and backing are from one of the design sheet elements, also found in Work and Play 12 Big Kahuna Download Collection. 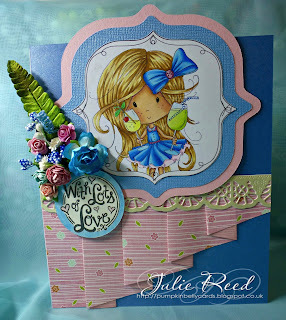 Sure hope you like it and please visit my blog for details on how I made my card. 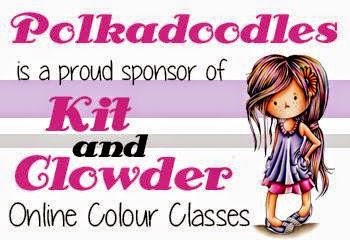 14:00 GMT to see Nikky with brand new products never seen before! You won’t want to miss the programme….we promise!!! The winner and top 3 for week 21/22 can be found at the bottom of this post. 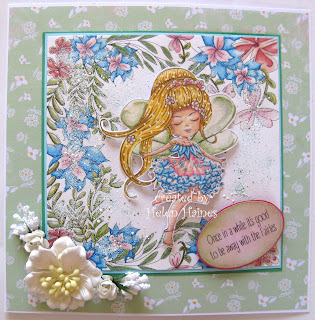 Helen - You can't beat a fairy dancing and here's our Serenity doing just that you can find her here in the store . I've combined her with one of the 6 x 6 colouring pages from the Colour Therapy Inspiring Foliage CD all coloured with my Lyra Rembrandt Pencils. Julie - Before long it will be the Summer holidays and I am looking forward to drinking Pina Coladas on the beach and this Winnie Fruit Punch image is all about cocktails 'One for you' coloured with Copics. Tanya - My make this week uses lots of sentiments that are inspirational. 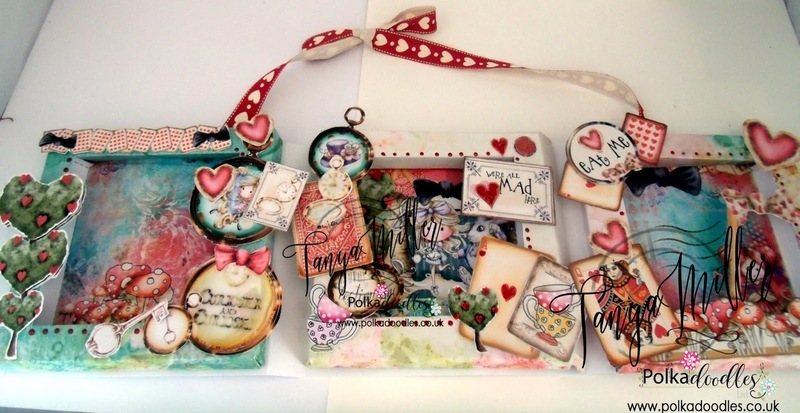 My make including the papers and the digi and the sentiment are from the Work & Play 12 collection. You can get this on CD HERE and download HERE. More close up pictures and details on my blog. Anjie - Well this week has seen lots of squealing from me, and this new collection is the reason for it! 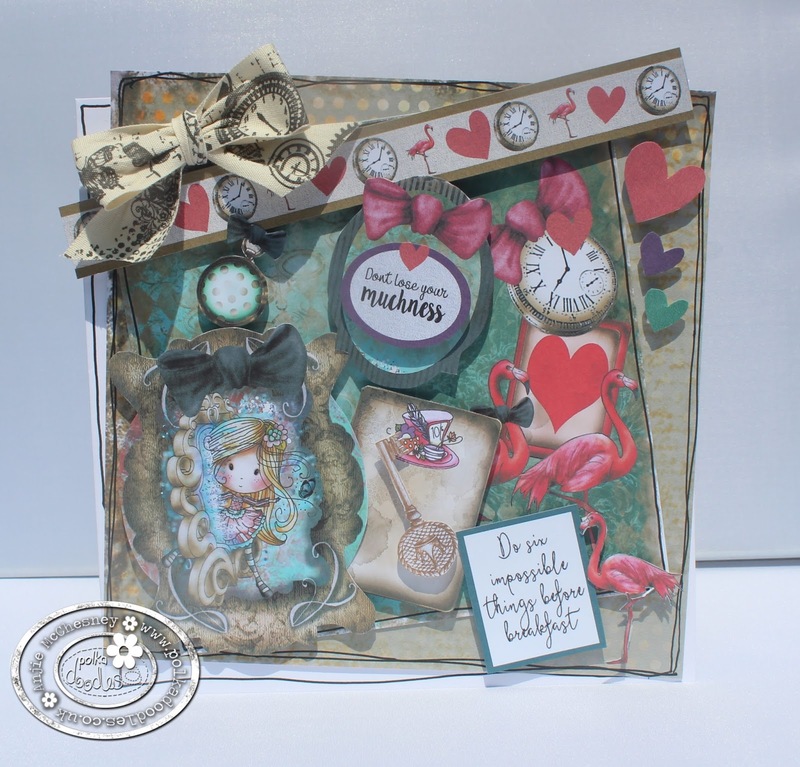 I've used Design Sheet 2 and a 17cm square card blank, and one of the lush background papers. I cut everything out, glued the paper slightly off the card, then added the background off of the design sheet, and separated them with the black pen line. Then I added all the elements randomly around the card onto 3D foam pads to give some height to them, and ta da, as simple as that! More details and photos on my blog. 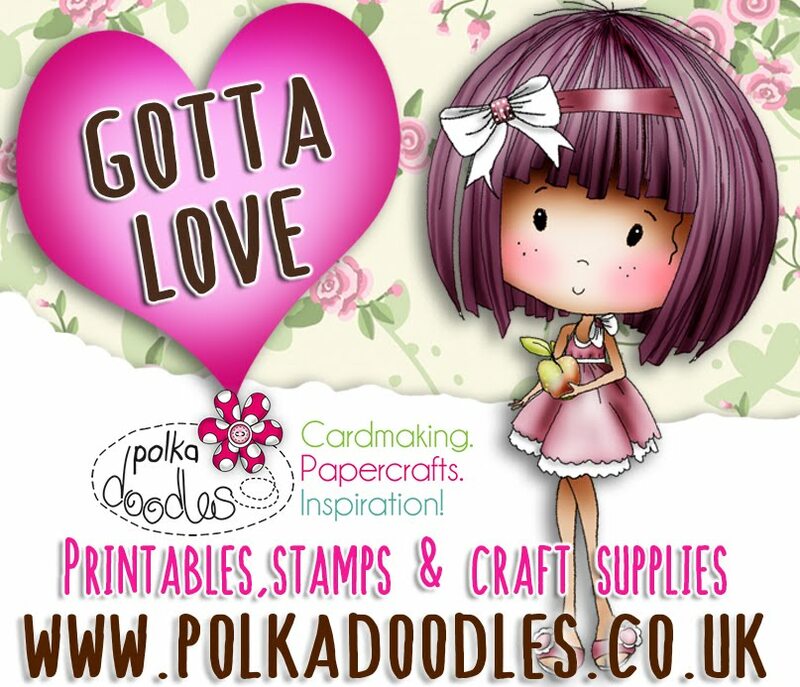 Monica.-For this challenge, I`m using some of the lovely sentiments included on Polkadoodles collections, to make a couple of pocket letters. For the first one, I used Lavender Tea Collection; but then Nikky released Winnie in Wonderland and I made another one. Gail - I saw the 'Take A Moment' sentiment on the brand new release Winnie in Wonderland and I just had to make an art journal page. 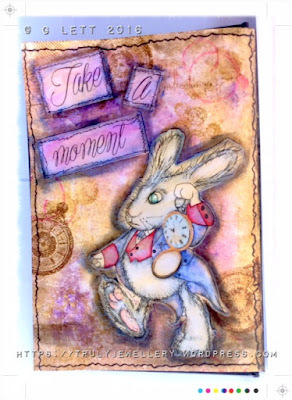 Life can get a little hectic and I think we all need to take a step back and enjoy the moment we're in or just catch our breathe and this sentiment expressed this perfectly, along with the fab white rabbit digi image, also on the Winnie in Wonderland collection. You can the Winnie in Wonderland full collection on CD-ROM or as an instant download. Audrey chose Maddie Give Us A Twirl digi image and colored it with Copics. I used papers from Winston Deluxe Full Collection and Winnie Sugar Sprinkles Download Collection. 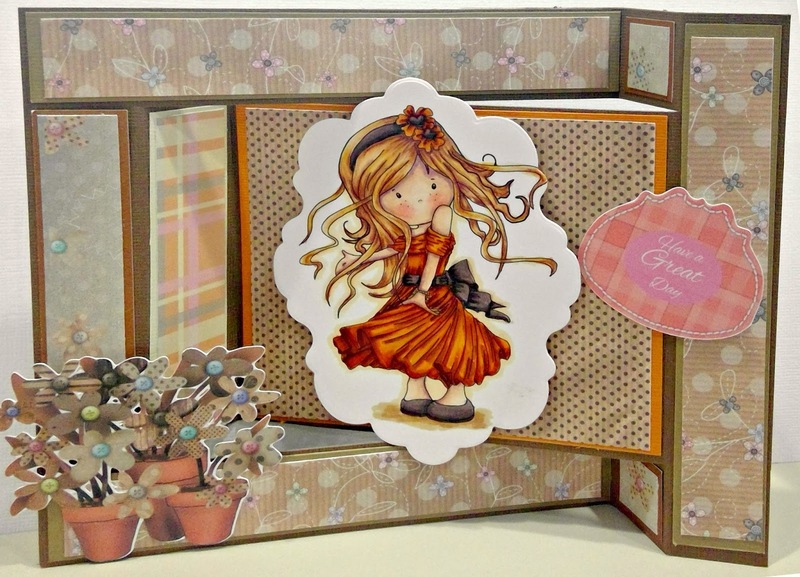 Sentiment and badge plus flower pot embellies are also from Wintson Deluxe Full Collection. 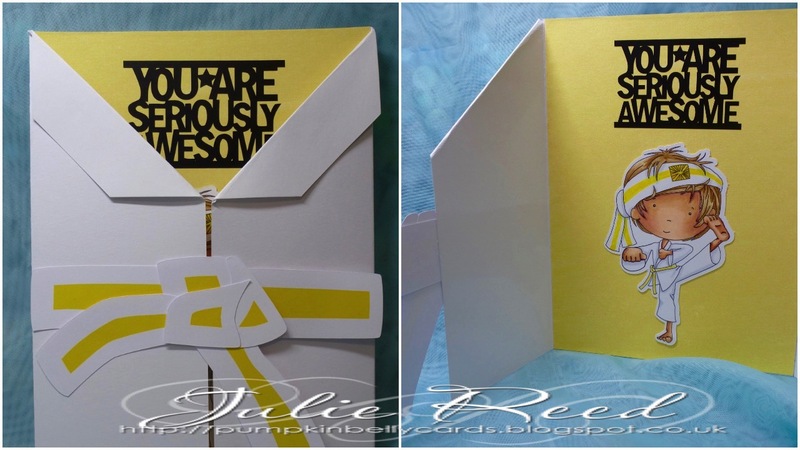 Sure hope you like it, come visit my blog for all the details on my creation. 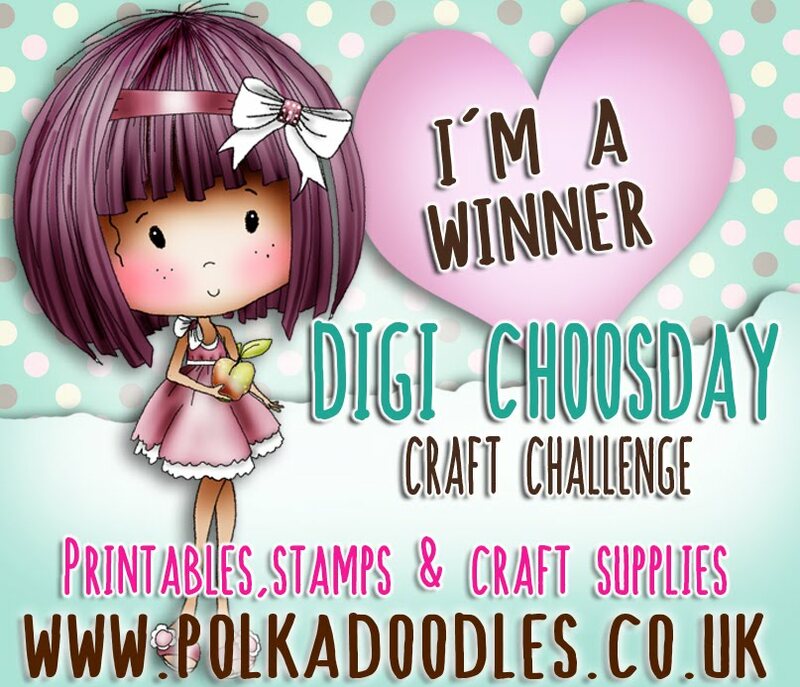 Please email us at sales@polkadoodles.co.uk quoting DCW020/21001 to claim your prize of £5 worth of downloads from the digi store!